rusty angel art life is filled with Pretty Things, enjoy them! : TAG 3 & 100th post on my blog!! i actually only own earthtones!! i must stock up on some lights and brights. i also never saw the need of getting the pitch black! but hey... i am converted, i learned a lot today! so big thank you to Tim! see,even us Ranger Educators learn every day!! oh yes, the acrylic saying at the top is one my friend Sue gave me. i covered it with snow cap paintdabber and wiped back off, the letters are engraved so took the paint really well, again, simple but effective, i did this on the token too, you might have noticed. i attached the saying with Tim's attacher, i did have to give the staples a little bang with the hammer on the back but it worked like a charm! and i didn't like the black look on the tag along with my colours so i wiped over it with fired brick and stamped the speckles on. tomorrow day 4 of the tags! come back and see what my look on it is! and! tatatadaaaaaa! 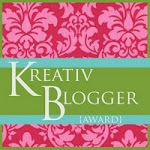 this is my 100th post on this blog!!! i don't write that often, ok , now i am writing every day due to Tim's tag challenge, i started this blog right after i had attended Ranger U in October last year and i have enjoyed it so far a&nd have come in contact with some lovely people all around the world! oh i want to move to Arizona, Spain, UK, ..... lol. ohhh i wonder who is going to comment first! where will my art be travelling to???? amai die is mooi geworden! Doe zo verder zou ik zeggen!! Bummer!! I'm #2!! LOVE the tag you did!! Yes, I'll get working on mine.... soon!! Busy morning here, but I've managed to stop and pick up a new bottle of blending solution so I'm ready to go.... I'm going to use a single tree stamp like you, since I don't own the stamp Tim used. BUT - I DO have the Santa stamp he used on the second tag so I'll use that one for my second tag. I'm doing 2 tags each day as it is, so Tim's got me going now!! I'll drop back later!!!! Have a great day, Tanya!! Anyway, cingrats on your 100th post. The tag is great. I love the colours you chose: nice and non-traditional. And yes, black alcohol ink is an absolute must! Try it on silver mirrorcard. Or red mirrorcard. Or... You get the idea! Congrats on your 100th post - glad Tim can get you blogging regularly. Loving your takes on his tags. OHHHH your plaid turned out lovely! !